The history of African American Studies is often told as a heroic tale, with compelling images of fists raised in a black power salute and white administrators bowing to the demands of passionate African American students. 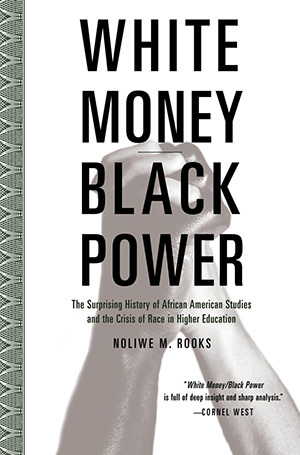 In this watershed book, Noliwe M. Rooks argues for the recognition of an alternative and heretofore untold story-one that suggests that many programs actually began as a result of white philanthropy. In this accessible and timely book, Rooks initiates an unflinchingly honest dialogue, illustrating firsthand that the only way to create a stable future for African American Studies is through confronting its complex and contradictory past. "Rooks is a serious scholar and insider of African American Studies, and this book is full of deep insight and sharp analysis."